How to setup an specific price on products? Can you show me how to do the math please? 4. 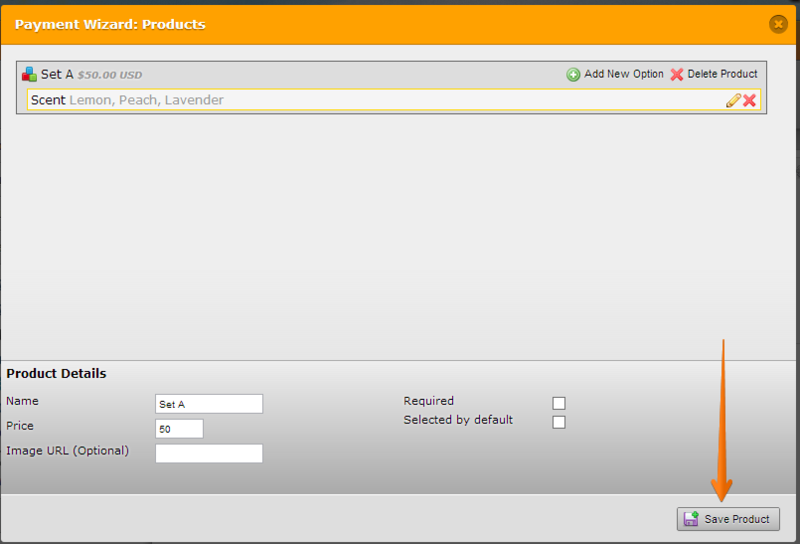 Complete the Custom Property option. 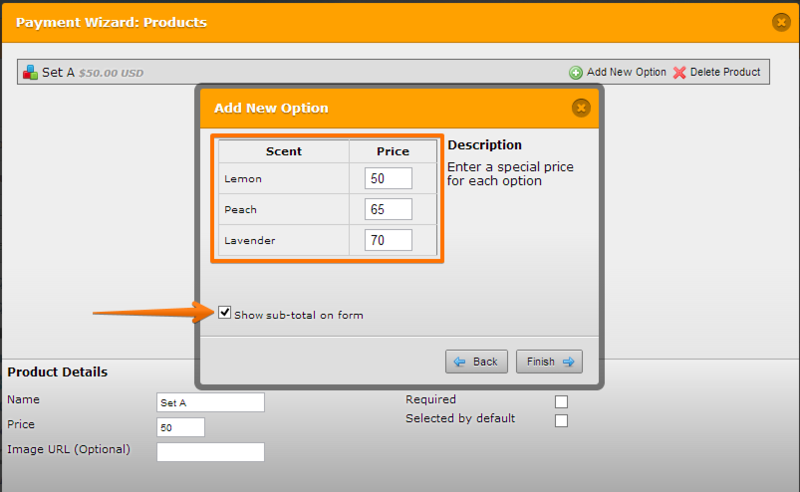 a. provide the Price for each available option in the lists. b. You can check Show sub-total on form, if you want. 5. 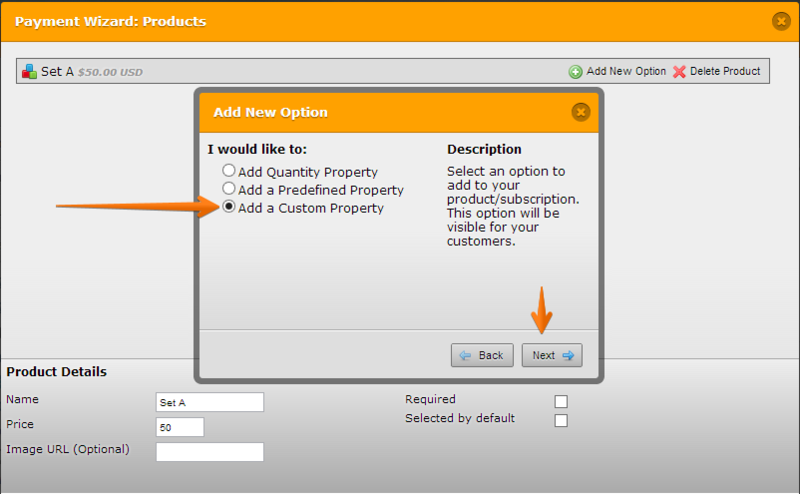 Click Finish button to complete Custom Property option for the product/item. 6. 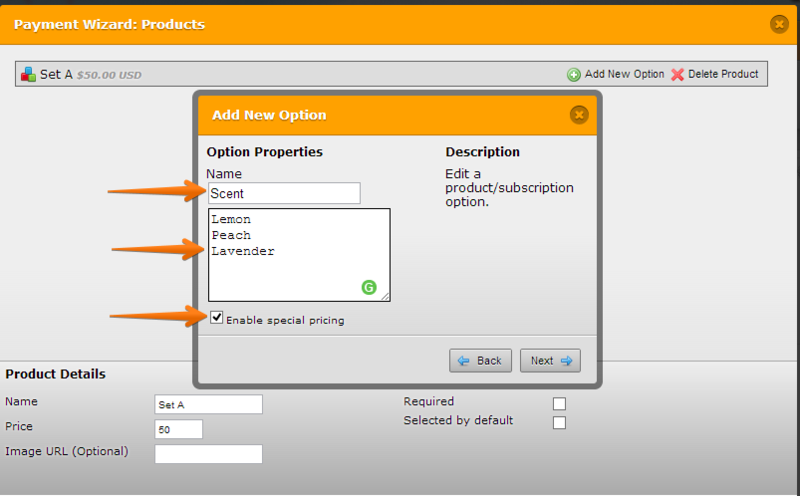 Click Save Product button to save the product/item custom property option. 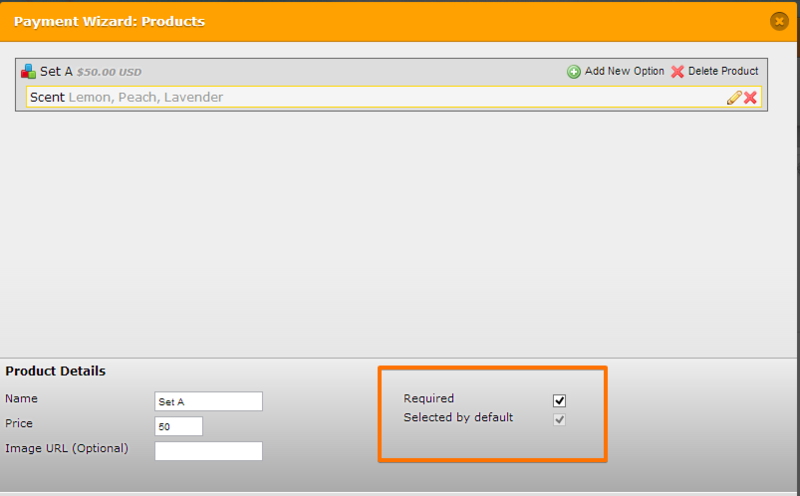 You can decide whether a product will be required and/or selected by default. 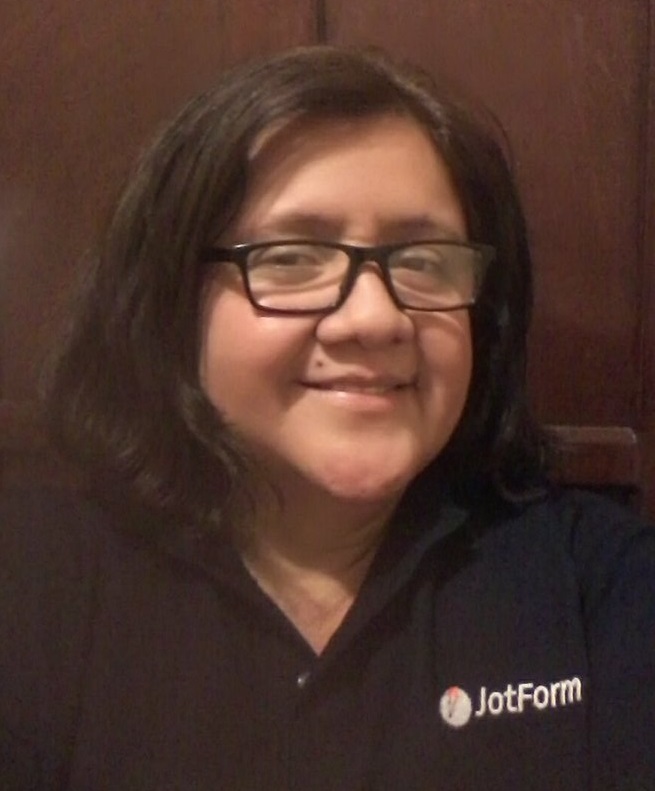 If more help is needed, please describe in details the desired results and will happily assist you.